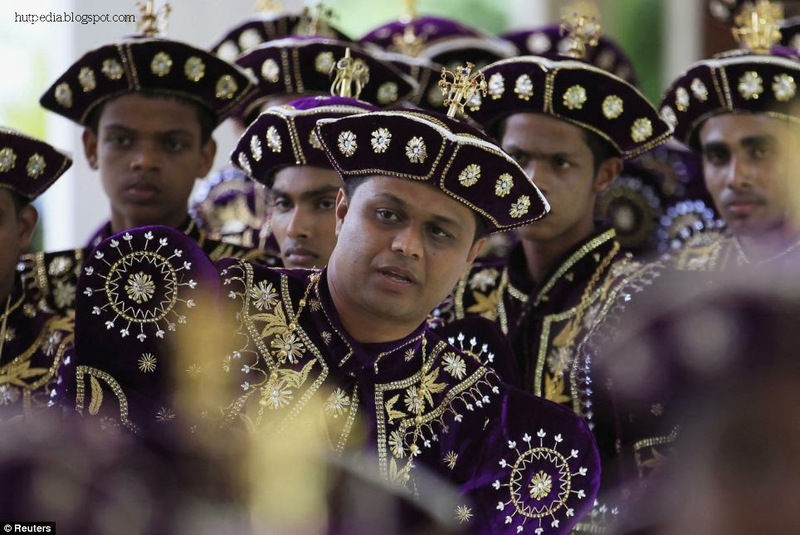 Spectacular Sri Lankan wedding is the world's biggest ever, with 126 bridesmaids, 25 best men, 20 pages and 23 flower girls. 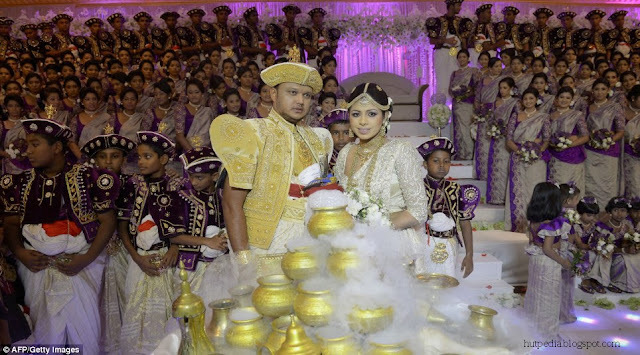 Planning a wedding is a major undertaking for any couple, but not for Nisansala and Nalin from Sri Lanka who married this week at a Guinness World Record breaking ceremony near the capital city of Colombo.The bride and groom had a staggering 126 bridesmaids - easily beating the previous record of 96 held by a Thai couple - all dressed by Champi Siriwardana, who is one of Asia's leading wedding planners and dress designers. 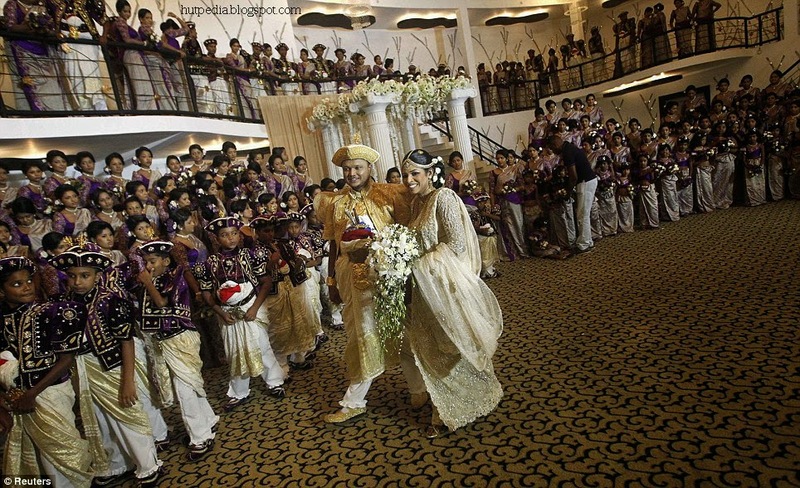 It also didn't hurt that the guest of honour was Sri Lanka's First Lady, Shiranthi Rajapaksa. 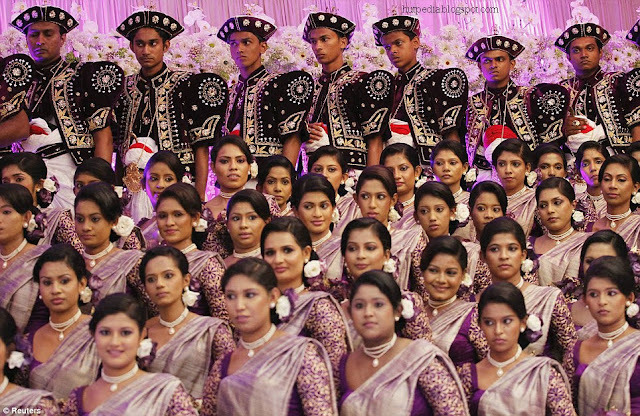 The spectacular ceremony was elaborately staged at the Avendra Gardens in Negombo, 30 kms from Colombo in front of hundreds of family and friends. 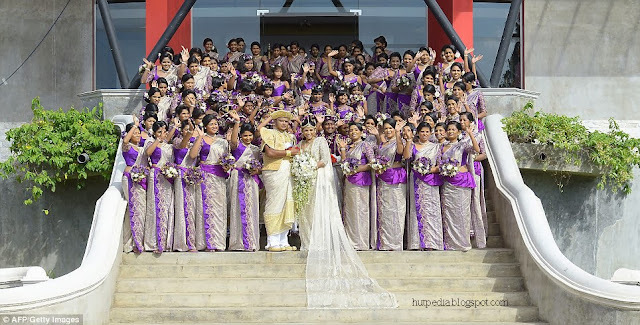 All of the wedding party - bride, groom, 126 bridesmaids, 25 best men, 20 page boys and 23 flower girls - were dressed in richly embroidered traditional costumes in shades of purple and gold. 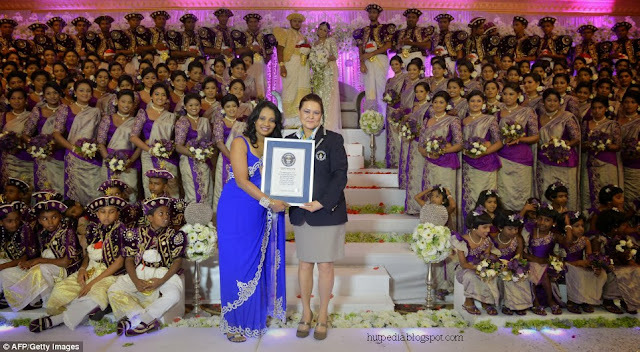 The wedding breaks the previous world record, held by a wedding in Bangkok, Thailand, that included 96 bridesmaids. 'Breaking the Guinness world record is no mean feat and one that I cannot achieve alone,' said Champi.